OCRACOKE ISLAND – For more than a century, the iconic, peaked-roof “Greek Revival” structure, which most know as the Island Inn, has played an important part in Ocracoke history. It has served many roles and changed hands many times, with new additions and additional buildings added along the way. In recent years, however, deterioration and uncertain ownership have left its fate in question. It was not certain if the cost of restoring it was feasible, nor who would take on the challenge. Some feared that when the property was sold, the new owner might decide to tear it down and build a new structure. Now, a nonprofit group is working to preserve the main structure’s historical significance and create an attraction for island visitors. 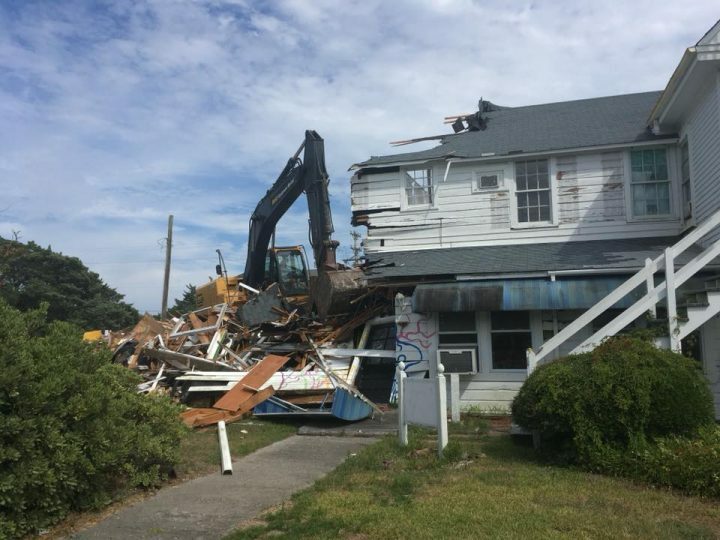 Last winter, the Ocracoke Preservation Society, which oversees the Ocracoke Museum and several other historic preservation projects on the island, began looking into the idea of purchasing and restoring the Island Inn. On May 7, the group, after much deliberation and soul-searching, bought the property for $850,000. Much of the structure, along with some outlying buildings, were determined to be past restoration, so it was decided to focus on saving and restoring the original building, formerly the Odd Fellow’s Lodge, demolishing the two deteriorating wings and creating separate public restrooms and green space. On July 16, the demolition work began, bringing heartbreak and anguish to those who loved the grand old lady. Even though saddened, most accepted the necessity of the plan and applauded the decision to restore the original building. The original part of the Island Inn was built in 1901 by an island native, Charlie Scarborough, on land deeded by Janus and Zyphia Howard. It was at the junction of the main road, now N.C. 12, and the road leading to the lighthouse. 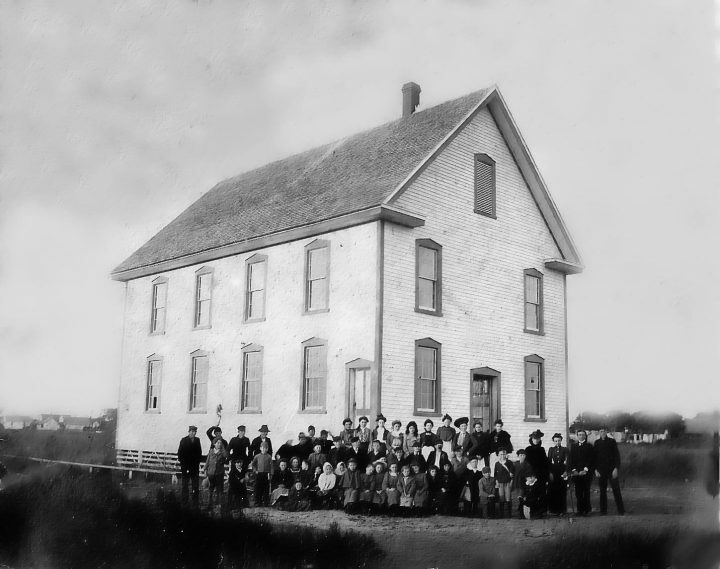 The second floor became the Odd Fellows’ meeting room, with as many as 62 men attending weekly meetings. M.L. Pyland, whose idea the project had been, became the lodge’s grand noble and chairman of the bylaws committee. The lodge thrived for 20 years. The first floor of the building served as a school for Ocracoke’s children, who attended classes there until a new school was built in 1917. Ocracoke native Chester Lynn remembers his grandmother, Annabelle Fulcher O’Neal, talking about going to school there. After the lodge closed, Ben Neal bought the building and had it moved 600 feet across the street, a task which, because the road was made of deep sand, was quite an undertaking. The Neals used it as their home until they moved back to Morehead City. It was sold in 1940 for $700 to Stanley Wahab, an islander who had gone off island to become a successful businessman. He turned it into the quite popular Wahab Coffee Shop, with a soda fountain and an ice cream bar. In 1942, World War II turned the Outer Banks into a war zone, with German U-boats targeting merchant ships that sailed along its shores. 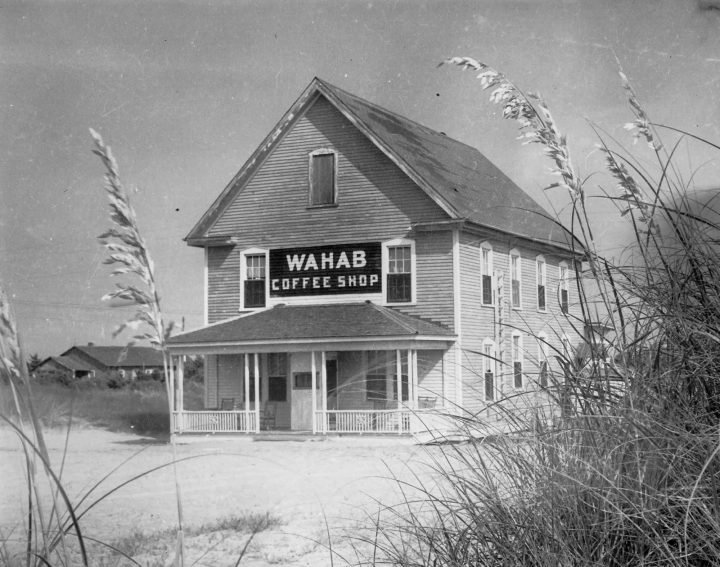 As a result, the United States began building a Navy Base on Ocracoke, and Wahab rented the upper floor to construction crewmen working on the base. After the base was completed, the building became an officers’ club, going by the name of the Crow’s Nest, until 1946. Wahab, who still resided away from the island, hired a Mr. and Mrs. Godfrey to run the place for him. Mrs. Godfrey was on the mainland when she was found mysteriously murdered, and visitors to the inn have reported ghostly sights and sounds ever since. Stanley Wahab eventually sold the establishment to Doward Brugh, who employed Della Gaskill to cook for the restaurant. 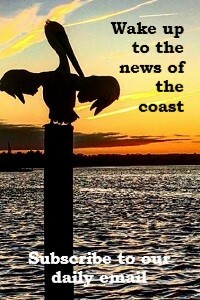 Gaskill, author of the book “A Blessed Life; Growing up on Ocracoke Island,” said she enjoyed her job. She recalled preparing fish and all kinds of seafood, cornbread and hush puppies. Before that she washed dishes under Liz Styron when Wahab still owned the inn. The Island Inn changed hands several times before being bought in 1970 by Bill and Helen Styron, who hired the popular artist Joko to decorate in a nautical or piratical theme. The walls were stained to look like the inside of a ship, nets and buoys were hung from the ceiling, and a large picture of Blackbeard the pirate holding his head was hung on a wall. When Ocracoker Larry Williams and his partner Foy Shaw bought the place, they added an aviary on the porch with plants and vines, a parrot, parakeets and peacocks. They spent the next 20 years improving the Island Inn and built a swimming pool and an additional 19 rooms on the opposite side of the road. During the years that the Styrons and later Larry Williams and Foy Shaw owned it, Chester Lynn worked in and later leased the restaurant. He has shared fond memories of the place, including years when, during hurricanes, the restaurant crew would cook all their food to distribute to people on the island. It was a popular place, and one day in the ’80s they served 250 for breakfast and 259 for lunch. In 1992, the Island Inn changed hands again when Cee and Bob Touhy purchased it. They decided not to renew Chester’s lease but took over running the inn and restaurants themselves. When it went on the market recently, John Giagu, owner of Island Golf Carts, suggested to County Commissioner Tom Pahl that the property needed to be in community hands. Giagu and Pahl formed an ad hoc committee, the Island Inn Preservation Committee. Also on the committee were then Hyde County Manager Bill Rich and Ed Norvell, a Salisbury attorney specializing in nonprofits and preservation organizations. 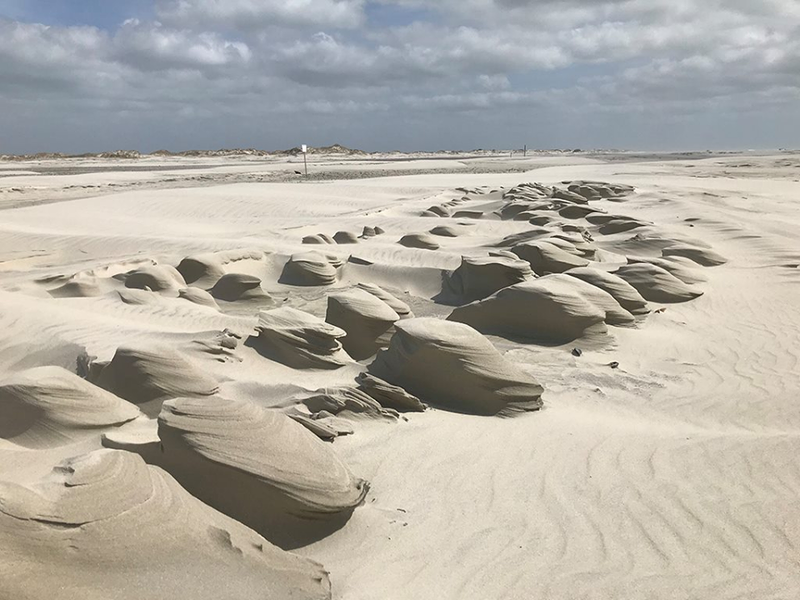 They approached Phillip Howard, then president of Ocracoke Preservation Society, about becoming the steward of the project. After much deliberation under the society’s new president Ken DeBarth, the group created a committee to oversee the project. The project is now on its way, with the down payment coming from the simultaneous sale of land across the road to a condo association and to Hyde County. The county purchased the open lot beside the pool to build a new building to house the island’s EMS operations. In May, the society began payments on the five-year mortgage. The Ocracoke Occupancy Tax Board and the Tourism Development Authority have committed to helping cover the mortgage payments for this year with the expectation that they will re-commit next year. During mortgage period, the society plans to seek grants and do fundraising to make a balloon payment of the mortgage balance and pay for the restoration. The goal is to create a visitor center with office spaces for nonprofits and an outdoor green space, to be called Odd Fellow’s Park, with parking and picnic tables. The society said it is willing to dedicate part of the property for public restrooms with the hopes that the Occupancy Tax Board will provide funding to build them. Donations for the project are appreciated. Checks can be sent to OPS, P.O. 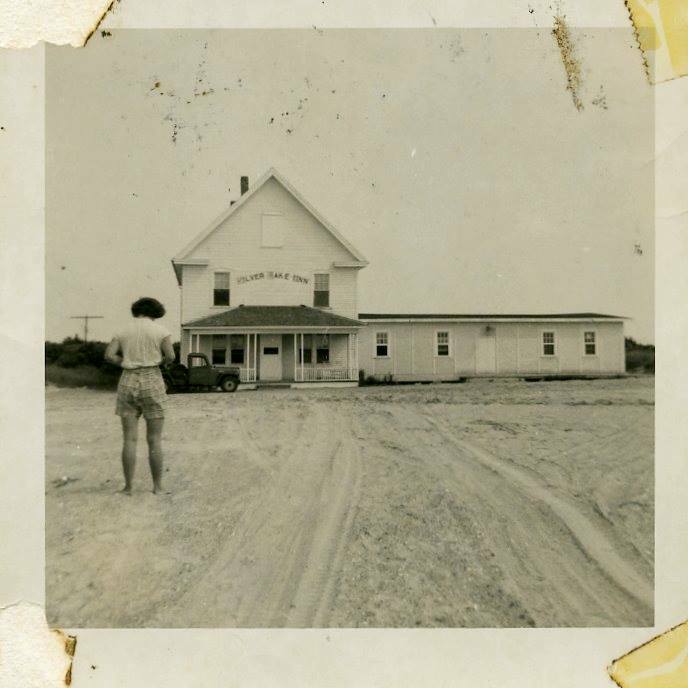 Box 1240, Ocracoke, N.C. 27960, with “Island Inn” in the memo line.